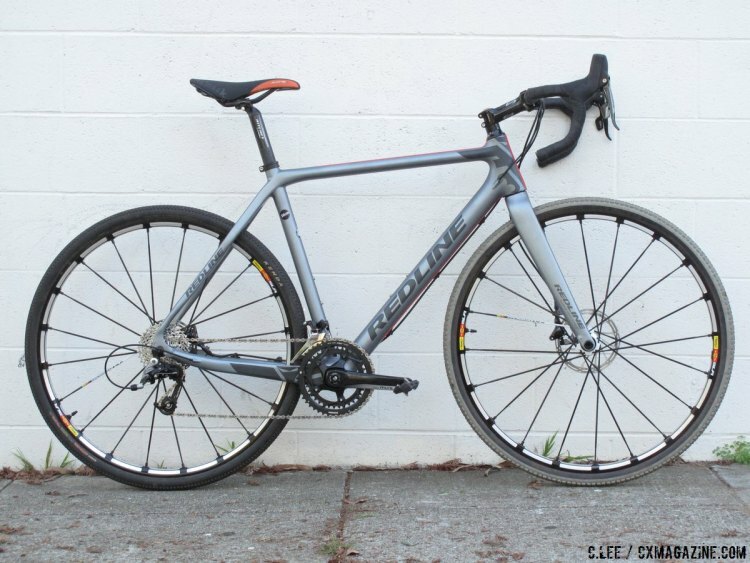 Last year at Interbike, Redline sent out several of its Conquest Flight frames in order to showcase a few dream builds by various drivetrain and brake companies. Not long after, we received our own Conquest Flight frame, although we had a goal in mind of a workingman’s build with SRAM Rival 22 components. After completely building up the bike, we put it through its full testing paces and today we offer Clifford Lee’s full review of the frame and build from Issue 28. For extensive reviews just like this one, be sure to order your backcopy today, which is also available on Uberflip, in the App Store on iTunes, and on Google Play for Android. Use the slider below for impressions and detailed specs on the frame, build and ride, as well as our final verdict. More Info: redlinebicycles.com. We first reviewed the Redline Conquest Team Carbon three years ago, in Issue 15. 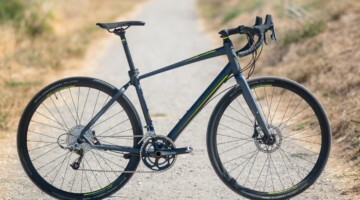 Innovations such as fully internal cable routing, a low 7cm bottom bracket drop, tapered head tube and fork steerer and disc brake mounts made the bike an industry leader. 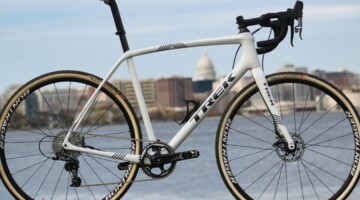 The bike was set up with cantilevers, and the biggest complaint from reviewers was the narrow tire clearance and 130mm-rear spacing for a disc-ready bike, but as disc brakes were still a new feature for cyclocross bikes, no standard was set at the time. 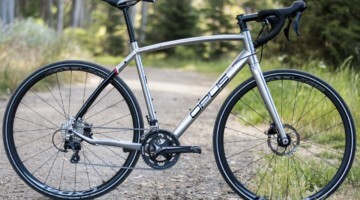 In Issue 18, the same bike was tested, only then with disc brakes, using a Velocity rear wheel with 130mm-rear spacing and a 324Labs mechanical cable to hydraulic-conversion system. Even with these modifications, we still loved the ride, and the hydraulic disc brakes set the bar for brake performance in all conditions. 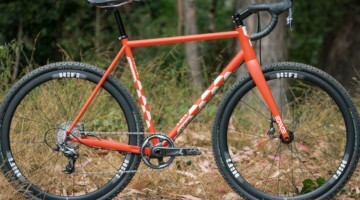 Redline’s Conquest Flight Cyclocross Bike. 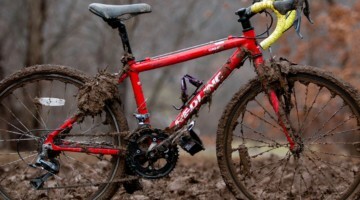 © Clifford Lee/Cyclocross Magazine. 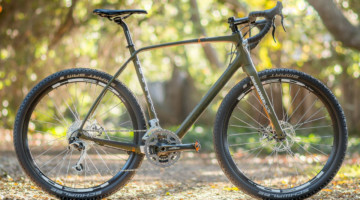 The new Redline Conquest Flight is the “frame only” version of the updated Conquest Team bike: Nearly the same frame as three years ago, but now with 135mm-rear spacing and a 15mm thru-axle fork. The look has been modernized, with a matte silver finish and new graphics, a design that is both subdued and quite attractive. I received quite a few positive remarks as I rode the bike during the review period.